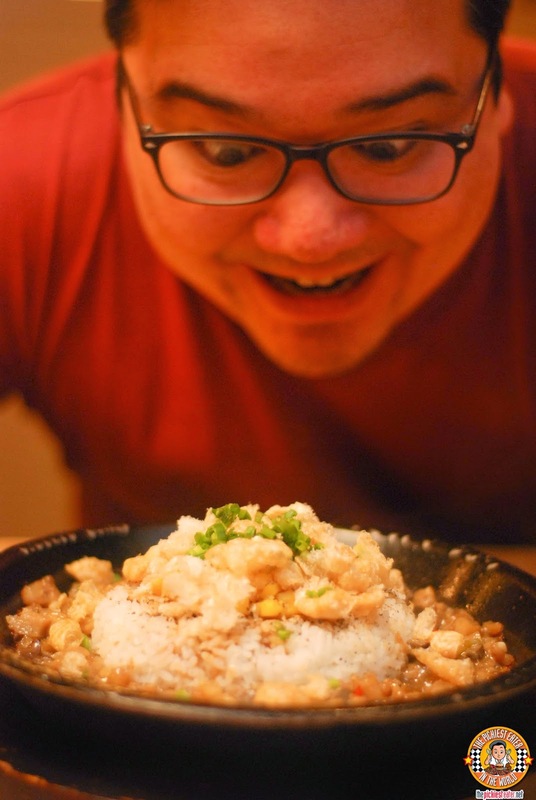 THE PICKIEST EATER IN THE WORLD: PEPPER LUNCH PINOY FIESTA: SISIG AND LECHON!! 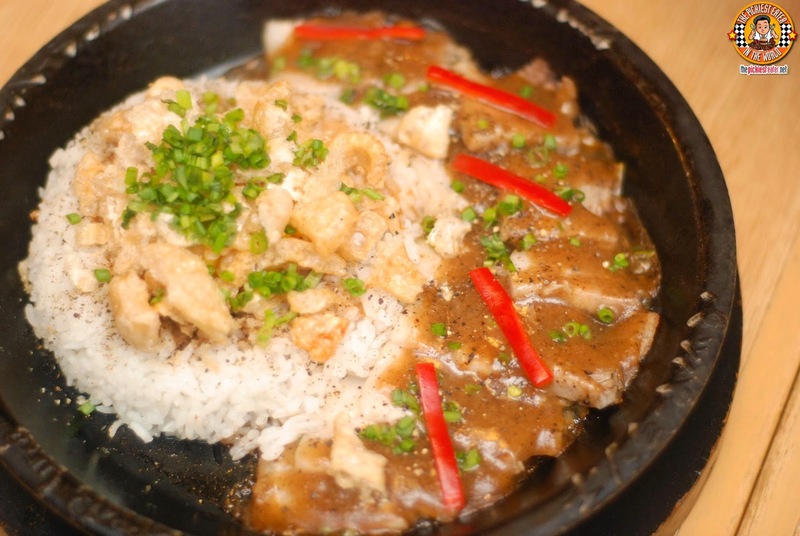 Being a Filipino myself, I noticed we have a fascination with food served on sizzling plates. Which is precisely why "Sizzling Plate" has made a name for itself in mall food courts around the Philippines, despite the fact they serve Porterhouse Steaks that - to paraphrase the great Gordon Ramsay - Look like "Gandhi's Flip Flop". 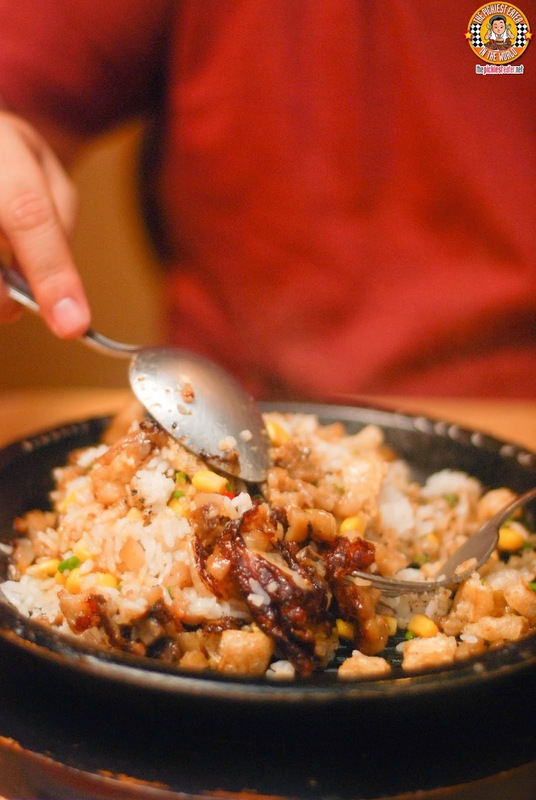 With the way us Filipinos have embraced Pepper Lunch's "international" entrees, it became clear that if done right, Filipino dishes would open up a new world of possibility for us! To me, the National "Pulutan" (Bar Chow) of the Philippines has to be Sisig.. and my favorite sisig dishes are usually served on a sizzling plate.. Which is why the marriage of Sisig and Pepper Lunch made complete sense - To the point that I can't believe they haven't been doing this before. And just when I thought I had finally decided on what my favorite Pepper Lunch dish was they come up with yet another dish that throws me in a loop once again. 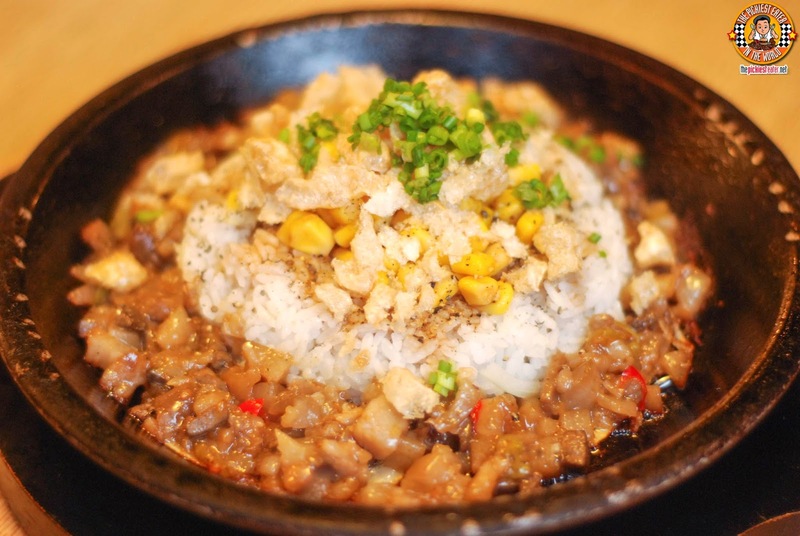 Pepper Lunch's sisig is AMAZING. Served in the "Corn Setting" that Pepper Lunch is famous for (Rice in the center topped off with buttered corn with the meat circled around it), but with crumbled Chicharon (Pork Rinds) on top! The Sisig has a light sweetness, touched with the right amount of saltiness, with a gentle kick of heat that will get your craving for more. As I mix it up into the rice to make sure that that Sisig gets cooked evenly, i noticed a gorgeous thick caramelization had formed, adding another dimension to the flavor. I'm usually not fond of sisig that have liver in it, but I honestly didn't realize there was liver in it till about the time I got halfway through the plate. I also mixed in a bit of the "Honey Brown" Sauce with it for a bit more sweetness.. and I enjoyed it even more! We didn't get to try it, but you can request for a fried egg to be added on! No Pinoy Fiesta is complete without Lechon, right?? No worries, Pepper Lunch has got your back! Laid out on a sizzling stone plate are thin, gorgeous slices of flavorful slices of lechon meat, smothered in liver sauce, and served with a scoop of rice. Looking for Crispy skin? Fear not.. the Chicharon on top of the rice will solve your troubles! My biggest qualm with Manila Lechon is that the taste is rather bland, which is why liver sauce is essential. Having grown up in Cebu, I was fortunate enough to taste some of the best lechon that the country has to offer. Cebu Lechon is cooked with Tanglad (Lemongrass) and other herbs, making the meat so flavorful on its own, absolutely no sauce is required. When I saw them bring out the plate of Lechon with liver sauce, I asked for mine to have no sauce at all. I was surprised with how the flavor of the meat seemed closer to the style of the provinces.. meaning it could stand on its own! To me, it worked even better with the Honey Brown sauce, giving it the unmistakable stamp of Pepper Lunch. It may not feel like it, but both dishes have good sized portions, and is a great deal for only P235! If first two entrees of Pepper Lunch's "Pinoy Fiesta" line is any indication, than I'm REALLY excited for what's in store for the future! 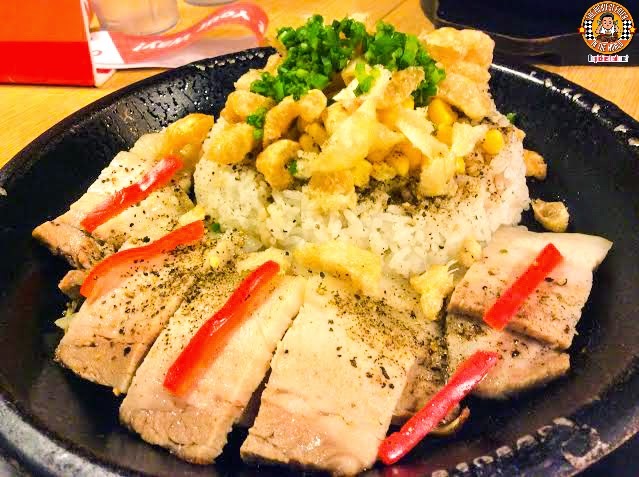 The Pepper Lunch Pinoy Fiesta dishes will be available starting May 1, 2014, at all Pepper Lunch restaurants Unfortunately, it won't be available at the Pepper Lunch Express outlets.